Over the weekend, some students sent me a number of questions about federal prison. I received more than 50 questions in total. I will answer them over a few blogs. GRAB MY FREE LESSON PLAN ON THE FIRST DAY IN FEDERAL PRISON HERE! None, but I did serve time with a former golf pro who went to prison for cashing checks he knew were fraudulent. He gave me a great tip on bunker play that I use to this day. 2: Who goes to federal prison camp? All types of people. Too vague! Okay, white collar defendants & low level drug offenders make up the majority of the population. To be eligible for a prison camp you must have 10 years or less to serve on your sentence; the crime must be non-violent; there can be no gang affiliation (though to be very clear there are gang members in a camp); and you cannot be an illegal alien. There are certainly more specifics, like gun charges, type of white collar crime, and more that can influence camp placement. 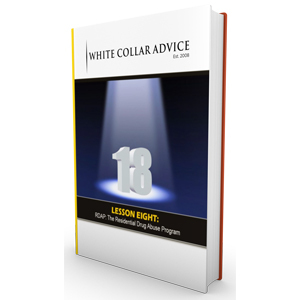 To learn more watch, The People You Meet In Federal Prison. 3: Who pays for federal prison? Tax payers pay to warehouse the prisoners. Prisoners work and earn a small wage; I earned $15 dollars a month. Prisoners can also spend their money in the commissary, to use the phone, to buy stamps and to use email. I have clients spending anywhere from from $100-$1,000 a month in federal prison. 4: Are there TVs in prison? On yes. TV is a big deal and helps pass the time for many. 5: Are there furloughs in prison? Yes, and the decision is usually up to warden. A host of factors will influence getting a furlough, such as length of sentence, your crime, your adjustment at the camp and more. 6: Are there murders in federal prison? Unfortunately, yes. I did not see any in a camp, but they do exist at higher security facilities. 7: Are there weights in prison? In some prisons, yes. Taft Federal Prison Camp did not have weights, but other camps, like Lompoc Prison Camp, did. It is the warden’s decision. 8: How is Federal Prison? I answer that question in my video, Life In Federal Prison. 9: Who oversees the federal prison system? 10:If I went to federal prison which one would I go to? Not enough time to answer here, but in short, the pre sentence report will heavily influence what prison you would go to. The BOP will tell you (keep in mind they tell you a lot of things that are made up) that they will try to send you to a prison within 500 miles of your home. Also if you are eligible for certain programs like RDAP, or the Residential Drug Abuse Program, you would go to a facility that offered the program. Again, this is a very basic answer. 11: How long are federal prison camp visits? Generally, you can visit Friday-Sunday and visits range from 8:00am to 3:00pm. 12: I read you call them guards, not officers, why? In prison I did not see any correctional officers, correcting. I only saw them guarding. Hence, I call them guards, not correctional officers. 13: Who decides what prison you will go to? The BOP’s Designation and Computation Office in Grand Prairie Texas decides. 14: What federal prison camps are in CA? Taft, Lompoc, Mendota, Atwater, and Herlong. 15: What federal prison camps in CA have RDAP? None. They had it at the camp at Lompoc, but the BOP was too interested in making money so they closed it to make room for Unicor. 16: What does a federal prison camp look like? 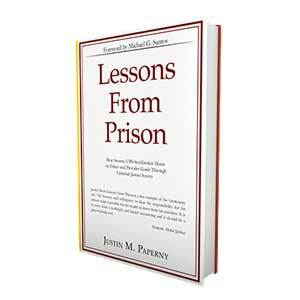 As I wrote in Lessons From Prison, many of them resemble corporate office parks. 17: Is there anything you miss about prison? Yes, the clearly defined structure. 18: How bad is federal prison camp? Bad is a relative word. It is not a country club, as others incorrectly assume, but it is also not the monolithic institutions we see on TV shows, like OZ or in movies like Cool Hand Luke or Shawshank Redemption. 19: How is healthcare in prison? Tragic. The doctors who work there should be ashamed of the care they give to prisoners. Then again they are like puppets who are simply following orders from the BOP. 20: Did you talk to staff? Nope. Some do, however. I filmed this video suggesting why some prisoners talk to staff. 21: What advice would you give someone going in today? Embrace what you can control and let go of what you cannot. Okay, that is a wrap for today. I will answer next set of questions later this week. More questions about prison? Call me at 818-424-2220 or schedule a call here.